The militants killed in a gunfight with the government forces in Fateh Kadal area of Srinagar district were affiliated with Lashkar-e-Toiba outfit, officials said. 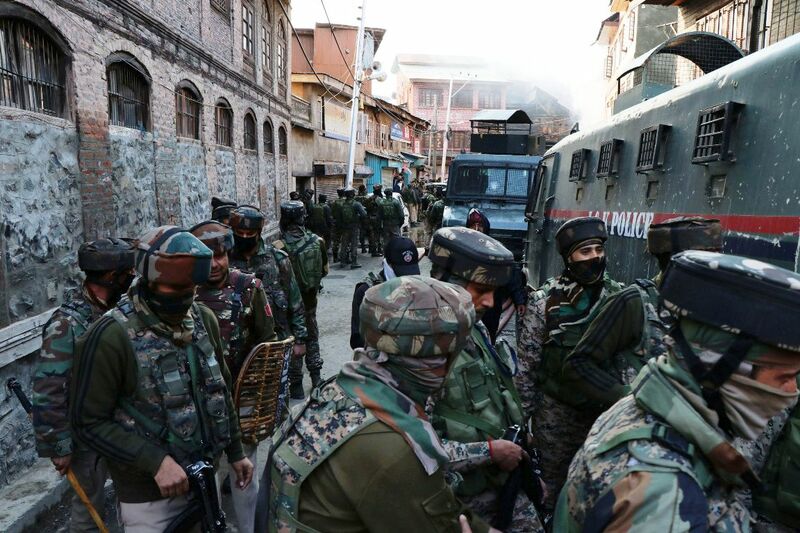 Government forces near the site of an encounter in Fateh Kadal Srinagar. The slain were identified as were identified as Mehraj ud Din Bangroo of Fateh Kadal and Faid Mushtaq Waza a resident of Khanyar. The slain militants were killed during a pre-dawn encounter at Fateh Kadal area of Srinagar. Two militants, policeman, and civilian were killed during a gunfight in Fateh Kadal today early morning. The policeman has been identified as Komal from Reasi district of Jammu and the slain civilian, a house owner has been identified as Rayees Habibullah Sofi.